Rachel became interested in the Law Apps subject at MLS after watching her cousin flourish in his own start up business. “He decided to leave his job as an engineer and start his own business designing websites,” she said. Seeing her cousin grow his business got Rachel thinking about the ways she could use her legal education to do something different. She was in her final year of the JD and was brainstorming ways to differentiate herself from other students. “Law students applying for graduate programs have such impressive CVs – with great marks, work and volunteer experience, extra-curricular activities and more,” Rachel said. When she saw the description of Law Apps in the student handbook, a program designed for all law students regardless of their experience with technology, she didn’t hesitate to enrol. “I had no background in technology at all, but it was an area I wanted to learn more about,” she said. The subject, led by Senior Lecturer Gary Cazalet, tasks student-teams with developing a web-based application to provide legal information to non-lawyers. The teams unveiled their creations at the Law Apps Bake Off, with apps judged by a panel of academic and industry professionals. 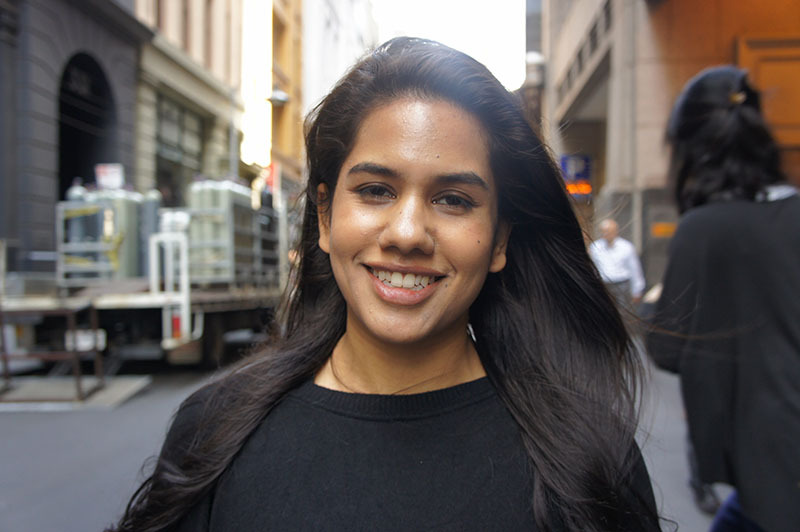 Rachel’s team won the inaugural 2015 event with their app designed for Justice Connect, which assists people looking to start a not-for-profit organisation. The subject was a “highlight” of Rachel’s degree, but was only the beginning of her involvement in legal technology. Inspired by a seminar she had attended by New Law firm Hive Legal as part of the Law Apps subject, Rachel decided to make contact. She was offered work as a paralegal over the summer break and went on to accept a graduate position for 2016. “I really haven’t looked back since,” she said. Working in New Law, Rachel has relished the opportunity to further explore her interest in technology and the law. “The way that we provide legal services is evolving, and technology is a key element driving this change, allowing lawyers to deliver new types of services, or provide services more efficiently and at a lower cost,” she said.